Last night, I left the house, walked over the big hill, and didn’t come back until after bedtime. AND I had charcoal under my fingernails. 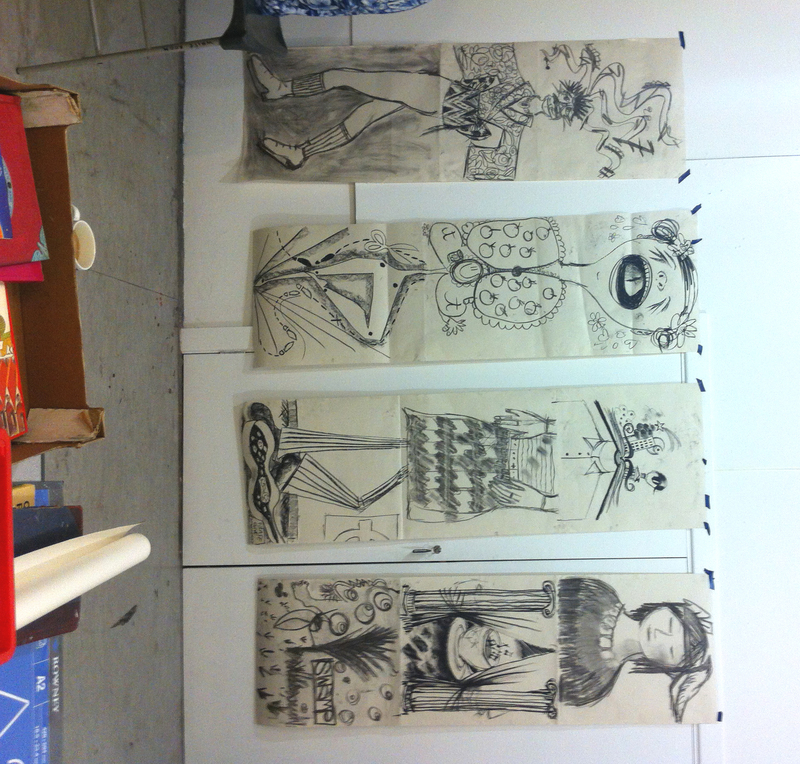 It was week one of an evening class on Children’s Book illustration, taught by the self-styled Baron Gilvan. 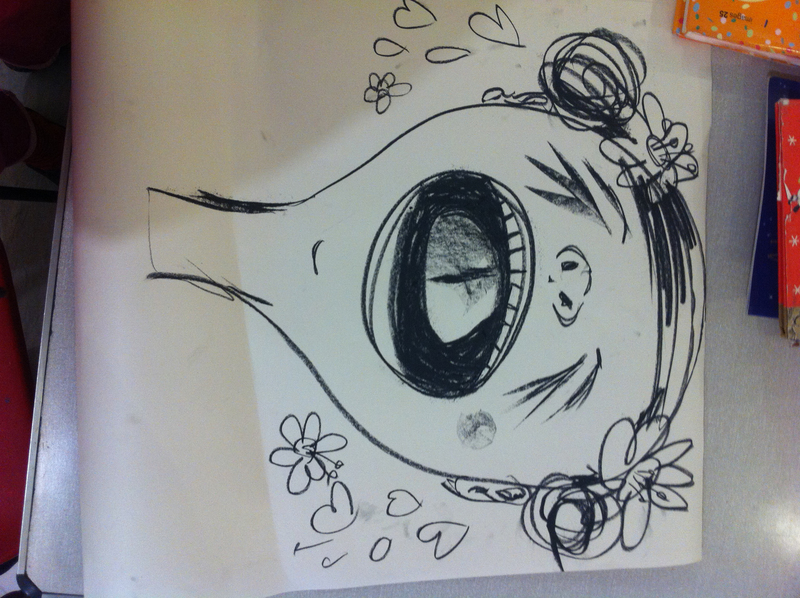 When we were asked to draw enormous body segments, as part of a giant game of ‘Picture Consequences’ (also known as ‘Exquisite Corpse‘), the first one I drew was this yawning girl. She’s symbolic of the tiredness I was already feeling, at being out of the house when I’m normally winding down ready for bed. Yes, I am a lightweight. Here are the finished works. There are only four of us – it’s a really small group, which’ll be great in all sorts of ways I think. Out tutor gave us some questions to think about – what were these people’s names, jobs, favourite foods? It seems like a very good way to generate some totally offbeat characters, if you’re stuck in a rut. Even if I never use this technique for generating book characters, it’ll sure come in useful for children’s parties. Another useful question: what does your character look like from the top, from behind, and the sides? This might in fact be more interesting than what is apparent from the front. Talking of consequences, I’m looking forward to seeing what the consequences are of taking an illustration class for the first time in years.